It can take up to 4-6 weeks before your site begins to show-up. WordPress takes care of indexing your site with the search engines by Automattically notifying them of new content via your site’s XML map. However, there are somethings you can do to help make it easier. 1. You can verify your site’s ownership with Google and Bing using webmaster tools. Note, you will need an account with each in order to use the tools. 3. You can also check to see how your RSS feed is doing and make any appropriate changes. RSS stands for Really Simply Syndication. An RSS feed is a display of all your published content in one place. It makes is easier for other bloggers and visitors to see and read your content. 4. You can check how your HTML and CSS-stylesheets are doing by referring to the validators and make any appropriate changes. 5. Check for broken-links. The more links you have that are appropriate and valid the more your site is likely to display in search results. 6. Make sure you adjust your site’s viability to allow search engines to index the site. 7. When writing posts include specific keywords people would be likely to search for. 8. Edit your post’s slug title to reflect what your post is about. 9. Use tags to show-up in the WordPress Reader Display. The Reader Display allows bloggers to follow relevant blogs. Bloggers and users will use the reader display to type in tags to identify WordPress.COM sites with relevant information. In the reader display, the newest content shows-up first. WordPress recommends to use anywhere between 5-15 tags or categories. 10. Publish often and write good content. 1. Making pages or posts sticky has a tendency to hurt search engine rankings and indexing. 2. Tags are not case sensitive. 3. 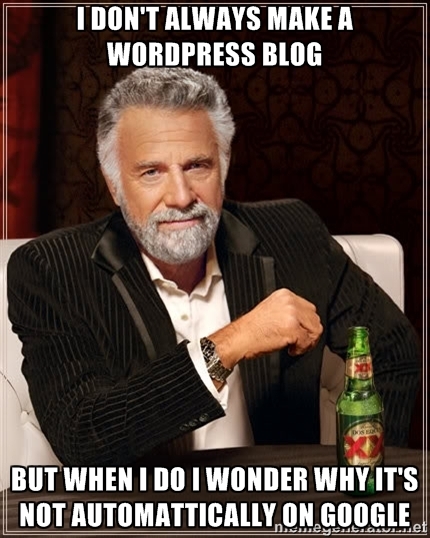 Brand new blogs don’t get on the Tag pages of the WordPress Reader Display. It takes a few days. 4. If you use more than 15 tags and/or categories in a post, you will be classed as a tag spammer and removed from the tag system. 5. If your blog is for mature audiences it will not be included in the WordPress tag system. 6. Your blog may not show-up because it has been flagged for violating TOS.